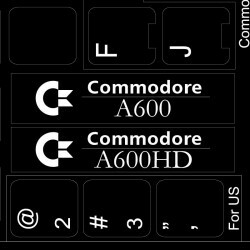 Commodore keyboard stickers are non-transparent and high quality and they come with C 64 graphic symbols. 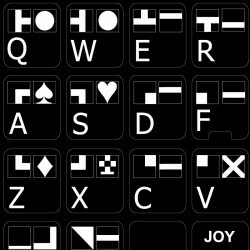 The Commodore keyboard stickers are available in different varieties which can be used for keyboards of various models like the Commodore 64, Commodore A500/A1200/A1200HD, A600/A600HD, Sinclair ZX Spectrum and Atari. 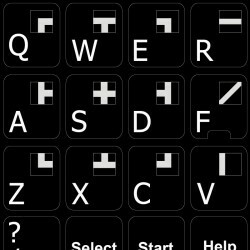 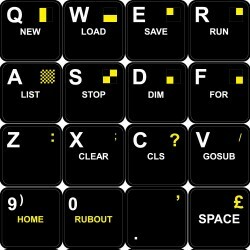 The Commodore keyboard stickers make it easy for the users to work as it is almost impossible to work without making mistakes when the letters on the keyboard get wiped off partially or completely. 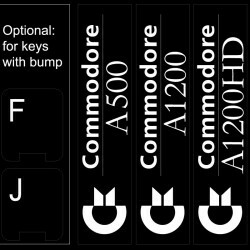 Each set of Commodore keyboard stickers contains letters as per the standard Commodore keyboard design and they last for a long time.